August 10, 2018 – The 2018–2019 academic year is about to begin, and that means more congestion on area roadways. Both Alachua and Bradford county school students return to the classroom Monday, Aug. 13. You can avoid traffic headaches by leaving just a few minutes earlier than normal. The safety of area students is a priority, so remember that reduced speeds in school zones will be strictly enforced. There will be plenty of newer drivers as well, as many high school students may be driving themselves to school on a regular basis. School bus safety is another thing to consider. It is illegal to pass a school bus when it is stopped, flashing lights are on and the stop sign is extended. 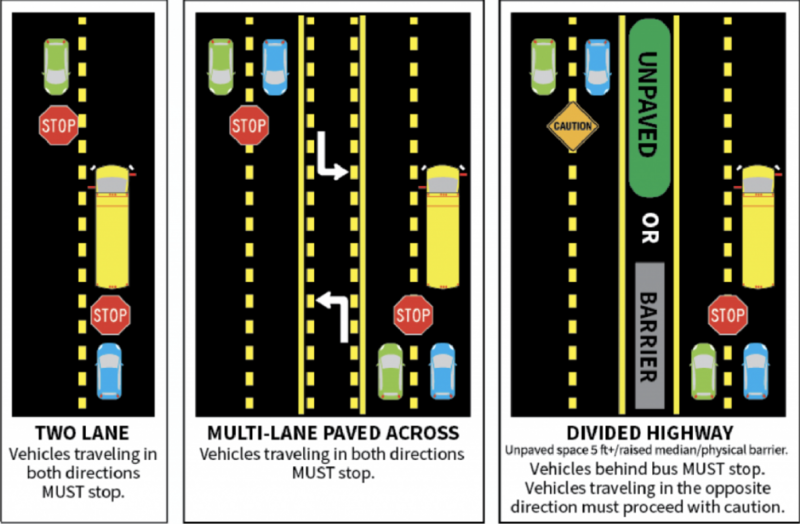 The only time traffic in the oncoming lane is allowed to continue traveling is if there is an unpaved median of at least five feet, a raised median or a physical barrier separating the vehicle from the stopped school bus. You can keep up with the latest traffic information by visiting these traffic websites.